The ONE and ONLY Noodlehead. where you want them to go! 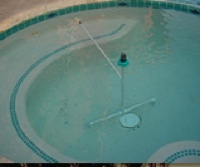 customized watering patterns. 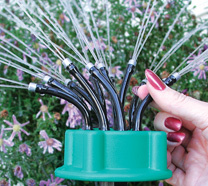 As your garden grows, simply re-bend the noodles to redirect the water flow. 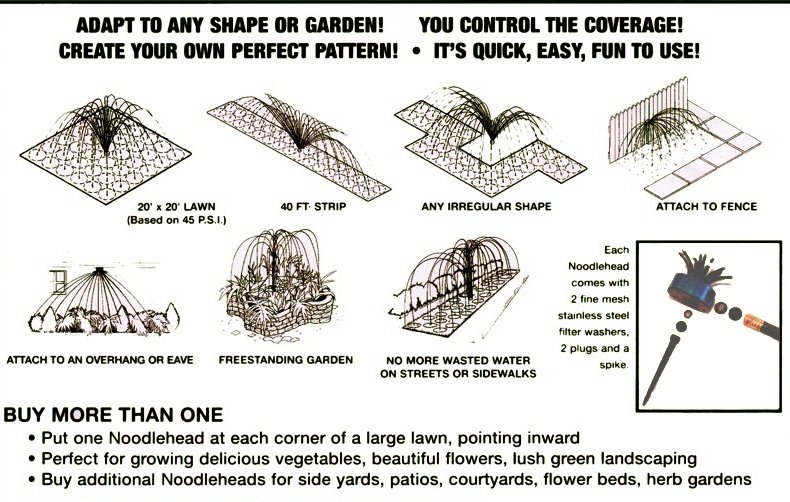 Add the Extend-A-Riser and your Noodlehead grows with your vegetation! 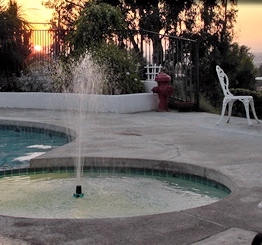 Use a Noodlehead to create a fountain in your pool or spa. 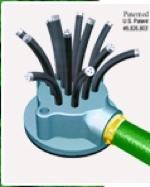 Voted “Best New Product of the Year” at the International Hardware Show and at the International Invention Convention!